Here's a new guitar with an interesting story. The owner approached us and asked if our shop would be interested in some "old growth mahogany" he had on hand. We agreed to look at his wood and do some sort of swap if we liked what we saw. After journeying to his home in the Florida Keys we realized it wasn't mahogany he had, but some mystery species. The wood lab in South Carolina verified that it was in fact Kelobra, aka Guanacaste-- the state tree﻿ of Costa Rica. 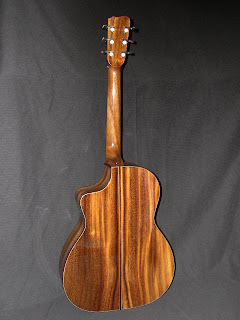 By the time they reported back, we had already fallen in love with the look of the wood, and construction of this guitar began. 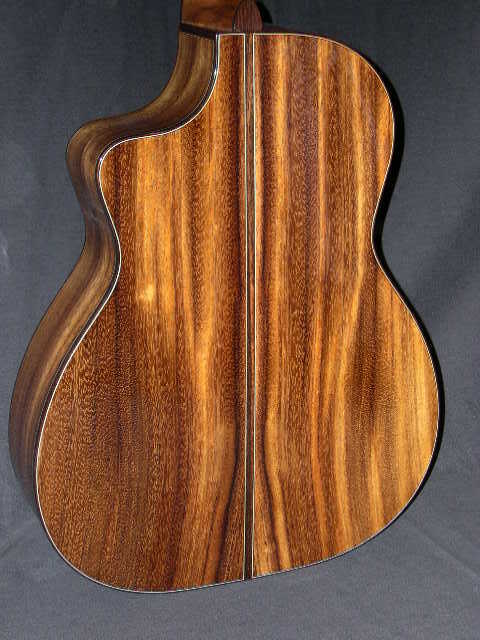 This wood is new to us, and to most guitar builders as well. It has a lot going for it: the trees grow fast, becoming massive; the wood is beautiful and light weight. 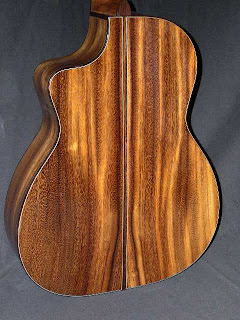 The resulting tone of this instrument is somewhere between mahogany and Koa. Crisp, balanced, full. If you like the sound of a mahogany guitar, or one of Koa, we're sure you will like Kelobra. Minister at Bethlehem Mission, owner of Kinnaird Guitars. Our shop builds 10-12 acoustic guitars per year with an emphasis on steel string instruments.